Meg May can't remember anything about her early childhood but her cookery-obsessed, fairytale-telling mother has filled her in on all the important details. Meg knows that her father was a French chef who died in a tragic pastry-making accident; that as a premature baby she was put on a sunny windowsill to ripen; and that the scar on her cheek was the result of a nasty nip from one of her mother's crab cakes. But, at eight years old, Meg rebels against this fictional life and decides there and then to turn her back on the world of stories, determined to let logic rule every thought and deed. Now on the verge of a respected scientific career with a scientist boyfriend who believes only in facts, Meg is called home. 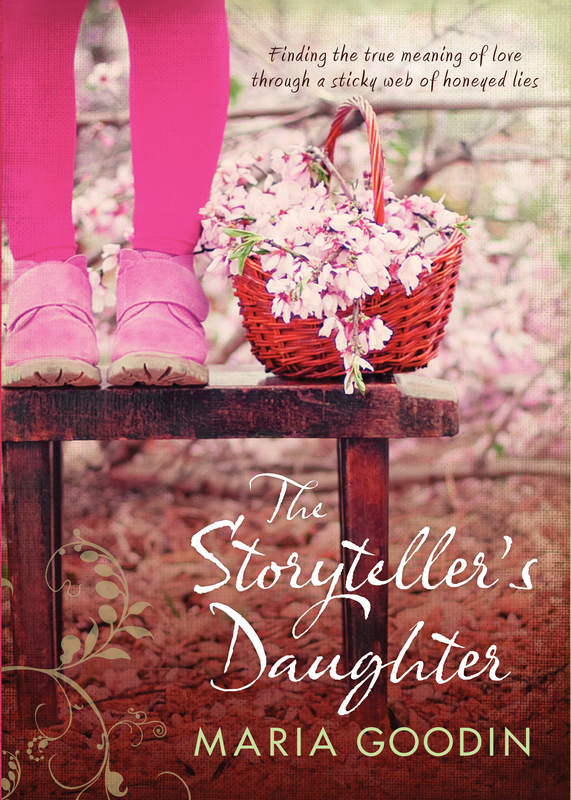 Her mother is ill and as Meg spends one last beautiful summer baking, gardening and talking with her mother, rediscovering what's important, she longs to know the reality of her life--but Meg may not discover the truth in time. A poignant, funny and heartwarming novel of mothers and daughters, families and secrets, this is a book to lose--and find yourself--in. Maria Goodin studied English Literature and French at the University of Kent and then trained as a teacher and as a counsellor. She now works at University College, London and also volunteers as a counsellor for a mental health charity. The Storyteller's Daughter is her first novel and was published under the title Nutmeg in the UK. Maria lives in Hertfordshire with her husband, son and cat.